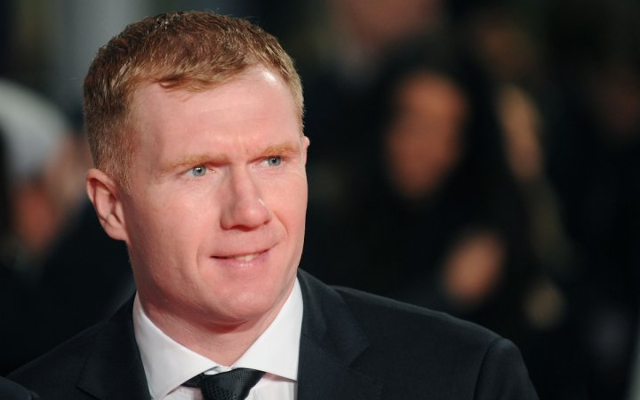 Paul Scholes has had his say on the impending Premier League season and doesn’t know if manager Jose Mourinho will end up staying at Old Trafford. The former England midfielder spent his entire 20-year career in football with Manchester United and won 25 trophies in total, which included 11 Premier League titles and 2 European Cups. Perhaps no one in the game is better qualified to comment on current events at the club, with Scholes having seen first hand exactly what it takes to be successful in English football and indeed in the Red Devil’s shirt, where the expectation is higher than at most other clubs. The 43-year-old sat down with Sky Sports to discuss the new season, which kicks off on Friday at Old Trafford when United take on Leicester City. Scholes weighed in on several different topics including who he thinks will win the league come May and the state of Mourinho’s current squad. “I just don’t see United getting closer to City,” he said, as reported by Sky Sports. “City are a really good side, great manager, some great players, a way of playing that they all know about and Manchester United seem to be not too sure what’s going on. The Manchester United legend then went on to give his opinion on the Portuguese tacticians current situation at the club, stating that he doesn’t really know what the future holds for him. “Do I think he will leave? I’ve absolutely no idea. He needs to get off to a good start this season, there’s no doubt about that,” Scholes continued.